One of two new Daf Cf 330 Fan tankers . 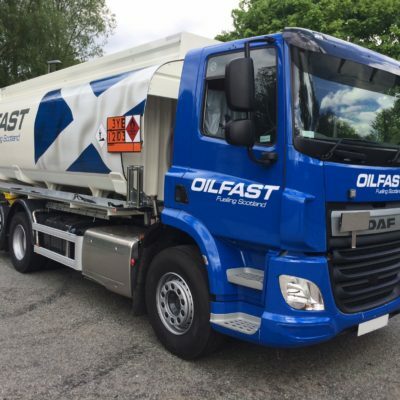 We are pleased to announce the delivery of a further 2 tankers for our customer . This time they are on a Daf CF330 Fan chassis complete with rear steer axle, manual gearbox and air conditioning. They come fitted with a Magyar 20,000ltr tank with 5 compartments.